This week, Monero devs have announced over Twitter that the lost funds from a bug in the Ledger Monero code discovered last month, have now been recovered. On March 3, a redditor flagged a change of address bug on the Monero 0.14 client after they had attempted to move $80,000 worth of XMR from their ledger wallet. Instead of the funds moving from one wallet to the next, the entire amount rerouted elsewhere. The Ledger team immediately posted a warning and urged the Monero community to avoid transferring funds between wallets, until a patch had been released. A post-mortem on the bug has now been published on Reddit, along with a revised list of update versions that each Monero user needs to make sure they are running. Monero up over 25% this month from $56.42 to its current value at $70.31, following a explosive breakout from a 3-month reversal pennant pattern between March 31 - April 2. 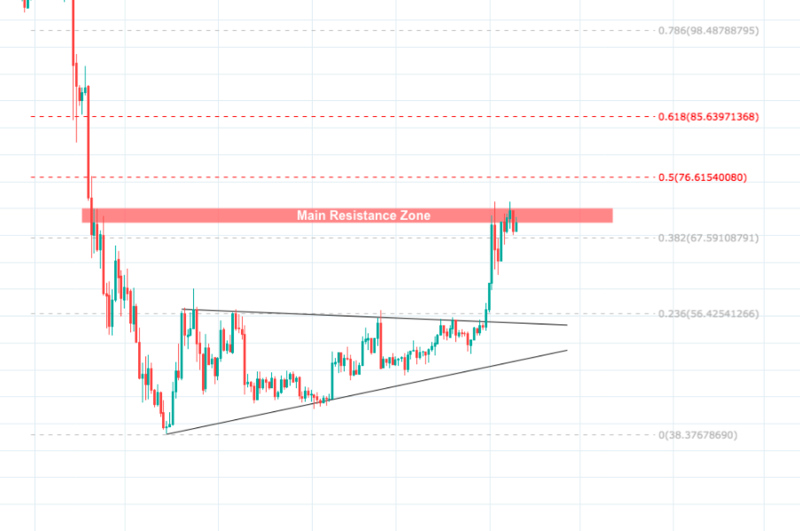 The opening bull run quickly dissolved at the psychological $70 mark as buyers ran into the main XMR resistance zone (red area) between the $69 and $72 levels. This particular area was a strong resistance for XMR during the heavy bear market in November 2018, and prevented the price action from recovering early at the $70 support level. 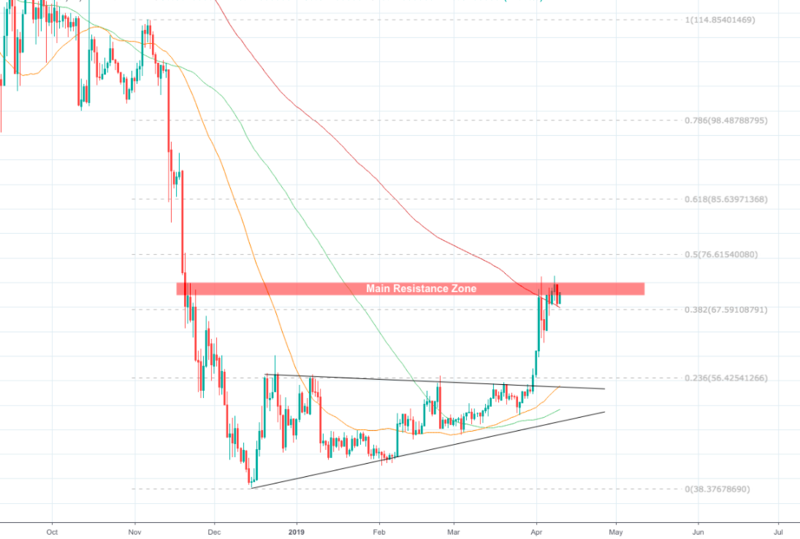 The 200 SMA (red line) was also an additional resisting level for XMR to overcome during the pennant breakout, which overlapped with the resistance zone at around $69. On the 1D XMR/USDT chart we can see that over the last few days however, the price action has since broken over the 200 SMA after rebounding off the $62 support below. Using the 0.382 fibonacci level and the 200 SMA now as a new support region, the price action appears to regaining composure before attempting to test of the $72 level above for a second time. The indicator line on the RSI is now flicking back up into the overbought region. The 12MA on the MACD indicator is holding well above the 26MA. The indicator line on the Chaikin Money Flow is still climbing as buying pressure increases. If XMR is able to close above $72 then the next likely price targets for the asset will be at the 0.5 and 0.618 fibonacci retracement levels, at $76.61 and $85.63 respectively. All ROIs are calculated from the asset’s current value at $70.31 (AToW).